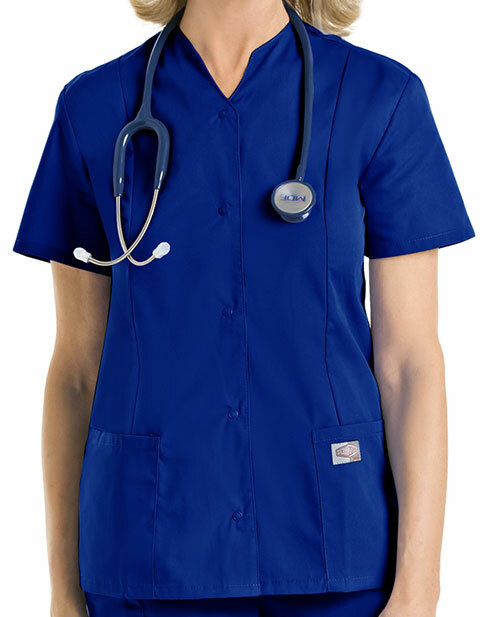 Look modern, elegant and professional in Landau ScrubZone women's snap front notch neck nurse scrub top. With a notch collar and side vents, you are destined to feel comfortable all day. 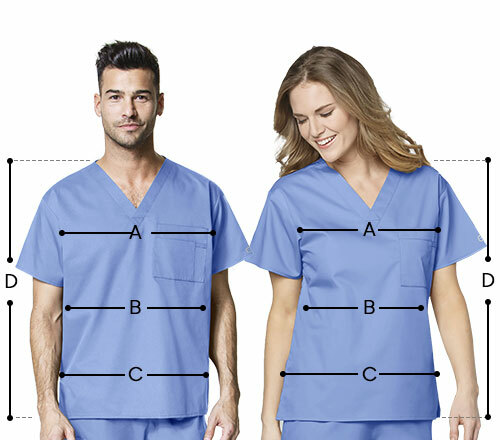 Moreover, front and back princess seams ensure a flattering fit while two large, top loading patch pockets ensure maximum storage. Available in eye-catching colors, the top makes your work hours efficient and effortless. Landau knows how to make fitting work. This flatters - seriously. This top would have been my favorite if only it comes with a cotton fabric. I thought blended fabric is also soft, turns out I'd need fabric softener often for this. But it's a nice buy, none the less.